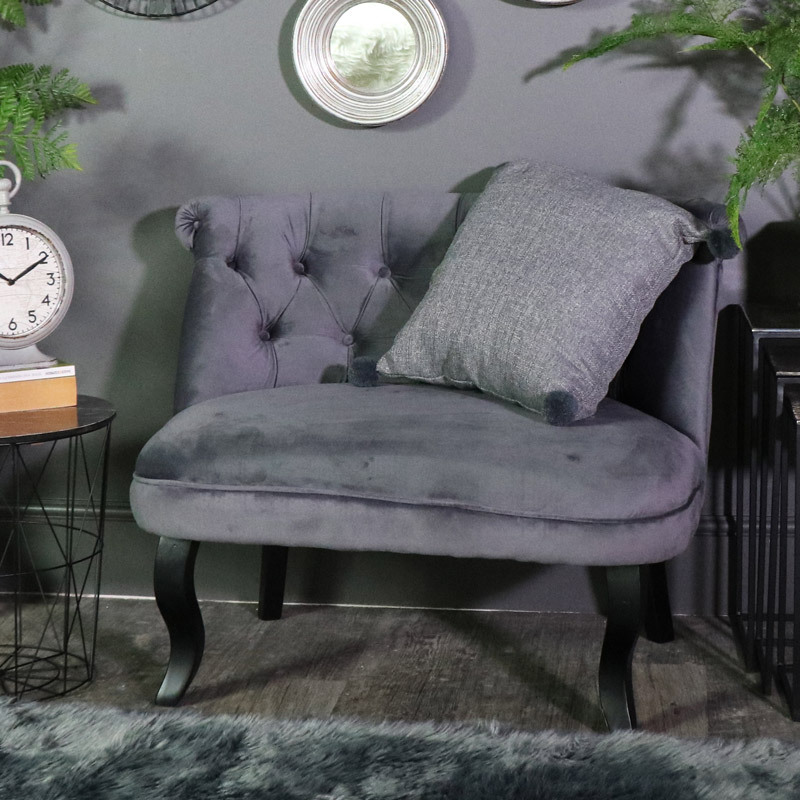 This chair forms part of our growing range of sofas and chairs. 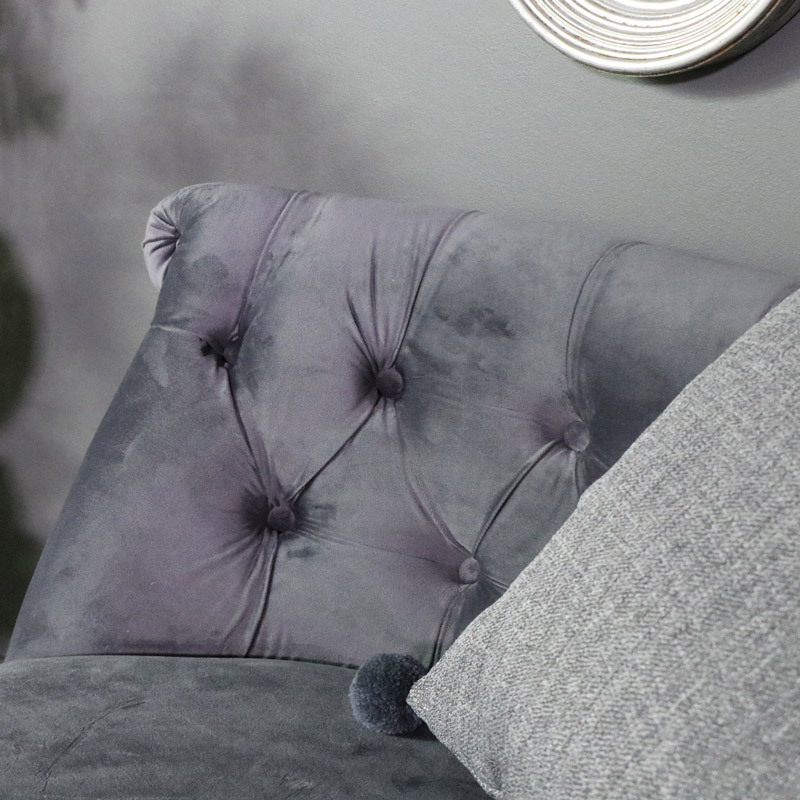 Upholstered in a soft grey with roll top and button backed detailing offering sumptuous comfort. This chair will easily suit a modern, contemporary or traditional interior. Perfect for the living room or bedroom. Simply stunning chair in a large comfy design, perfect for seating up to 2 people cosily. This will add a luxurious look to a living room. The button back detailing on the back of the chair adds a great classic look. 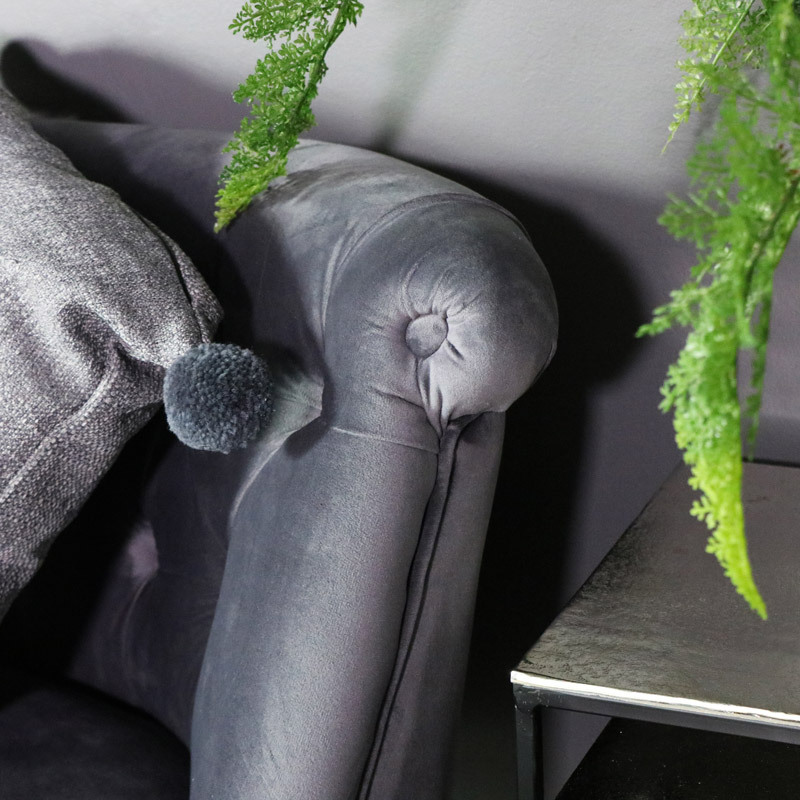 Both comfortable and incredibly stylish, the grey colour on this will fit in with neutral colours schemes. 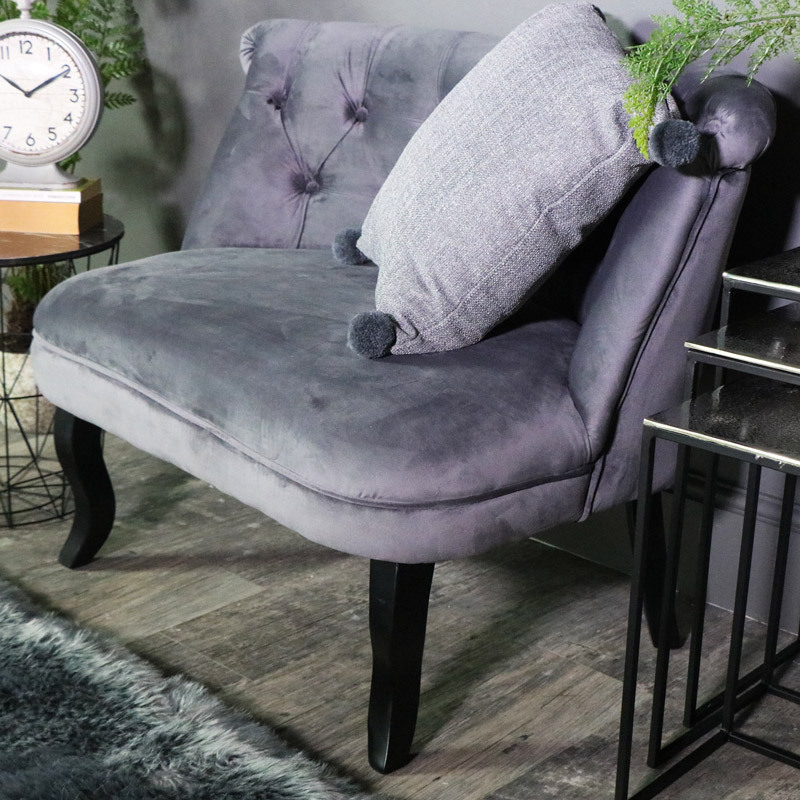 Sturdy construction, upholstered in a grey velvet material, supported by 4 black painted wooden legs. The sofa requires minimal assembly which is quick and easy to do. The sofa weighs approximately 22kg.